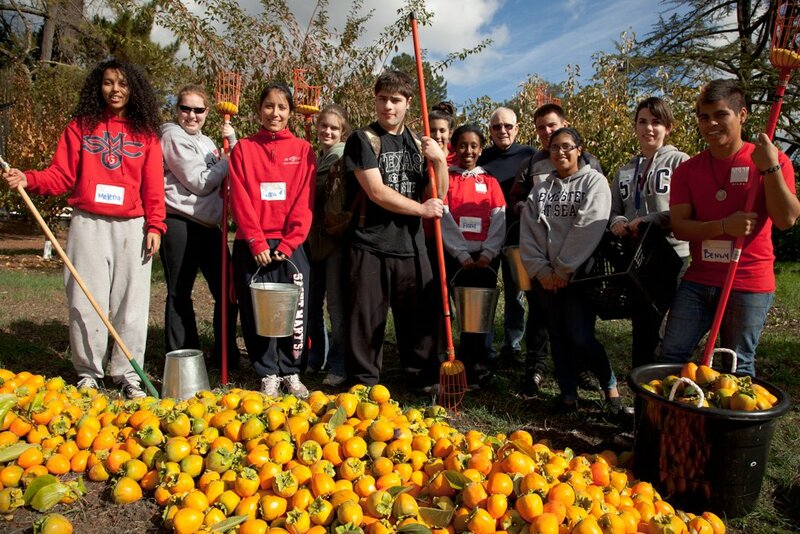 Persimmons are in season and 12 bighearted volunteers from Saint Mary’s College helped glean a ton, (well 750 pounds) of fruit for Monument Crisis Center. And while they were at it, they picked three boxes of damaged persimmons and fallen pears for Lindsay Wildlife Museum. Not bad for 4 hours of work! Happy Thanksgiving. This entry was posted in Blog, Community Events, Volunteer and tagged Community, Fruit Trees.